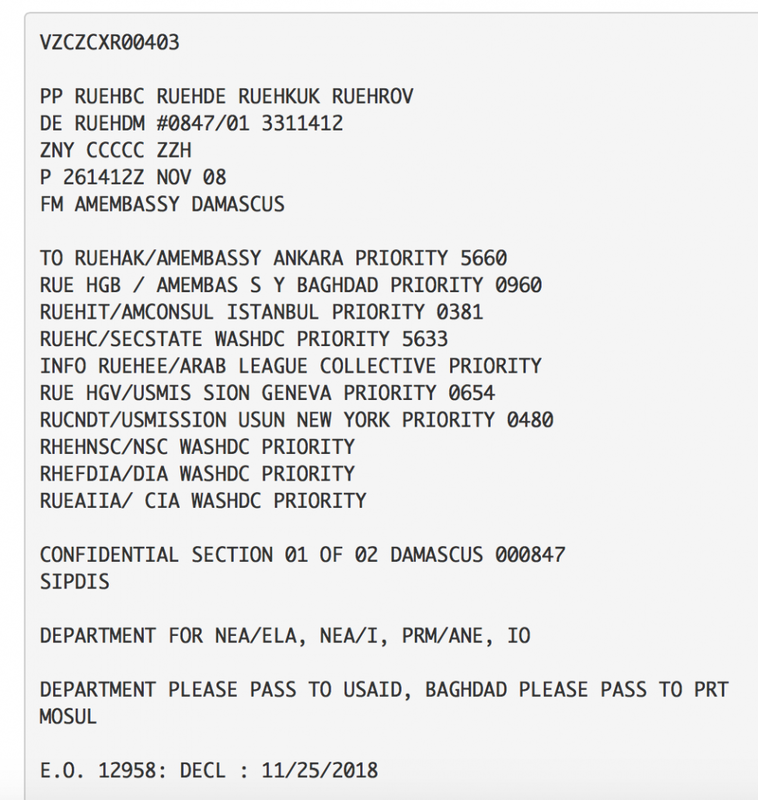 This operation came out into public view only briefly when the news site Zero Hedge headlined on 6 October 2015 “Saudi Clerics Call For Jihad Against Russia, Iran” and linked to a number of sources, including to a Wall Street Journal report the day before, which simply ignored the Saudi involvement and headlined “U.S. Sees Russian Drive Against CIA-Backed Rebels in Syria”, as if this matter were merely a U.S.-v.-Russia issue, not an issue involving the Saud family at all. By contrast, the zerohedge article closed with “‘This is a real war on Sunnis, their countries and their identities,’ said the statement [by the International Union of Muslim Scholars, which is based in Qatar, whose ruling family, the Thanis, work closely with the Saud family]. On 5 October 2015, the British mainstream ‘news’ site Reuters had called these “Saudi opposition clerics”, and alleged that they “are not affiliated with the government,” but Reuters’s statement (especially that these were “Saudi opposition clerics”) was simply false, and even ridiculously false, likely an outright lie, because Saudi laws don’t allow any “opposition clerics,” especially not Islamic ones, since those would be executed for publicly questioning the legitimacy of the country’s rule by the royal Saud family, which is what an “opposition cleric” in Saudi Arabia would, by definition, be doing, if any of them existed there and hadn’t been executed yet. The pretense, by Reuters, that Saudi Arabia is a religious-freedom country, is an insult to their readership, but this falsehood helps to keep their readership thinking that somehow the West can be allied with the Sauds and yet still call itself ‘democratic’ and allied only with ‘democratic’ governments, not with some of the world’s worst tyrannies. Realism in foreign affairs (such as to acknowledge that some of the world’s worst regimes are our government’s allies) is fine, but it can’t include lying to one’s own public, because that necessarily entails misinforming the voters on the basis of which any actualdemocracy receives its very legitimacy as being a democracy, which seems less and less what countries such as the U.S. and UK are, at least after 9/11. A “democracy” and a “deceived public” cannot coexist in the same country — and, at least in the United States, a deceived public is what predominantly exists (as a consequence of the many deceiving ‘news’ media). Then, Secretary of State Clinton approved a $29 billion sale of U.S. weapons to the Saud family, which enables the Sauds to mass-murder Shiites in neighboring Yemen, and (via the Sauds’ surrogate jihadists) in Syria. Other than to fundamentalist-Sunni Saudi Arabia, this burgeoning of military exports included weapons to the Sauds’ fellow-fundamentalist-Sunni royal friends who own and run Kuwait, the United Arab Emirates, Oman and Qatar, all of whom had donated to the Clinton Foundation and likewise gained Clinton’s clearance to buy America’s weapons, even as the State Department verbally condemned their countries for corruption, tyranny, and funding jihadists around the world. These fundamentalist-Sunni monarchies compete against both Russia and Iran in international oil and gas markets, and appreciate a U.S. government that slaps economic sanctions against, and that militarily threatens, their main economic competitors: both Russia and Iran. During Hillary’s time at State, military sales to the Sauds who own Saudi Arabia doubled, to the royals who own Qatar increased 14-fold, to the royals who own UAE increased ten-fold, and to the royals who own Bahrain increased nearly three-fold. 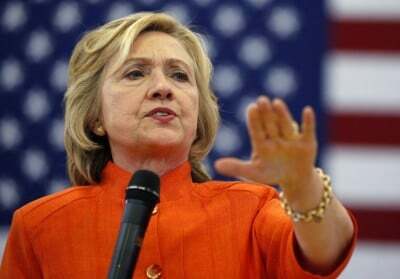 Other top donors to the Clinton Foundation included the top U.S. military suppliers: Boeing, GE, Honeywell, Lockheed Martin, and United Technologies. This is a charitable operation — but certainly not to Russia, nor to the operation’s other victims. In other words: Feltman, who had been central in the operation to overthrow one leader who was friendly toward Russia, Assad (to replace him there by jihadists); was now prominently involved also in the operation to overthrow another leader friendly toward Russia, Yanukovych (to replace him there by nazis) (and Russia, of course, cannot tolerate either jihadists or nazis, so it tries to eliminate both). The leaders of Qatar are its owners, the Thani royal family, who are the main funders of the Muslim Brotherhood, and who have long wanted to overthrow the secular Assad and to replace him with a fundamentalist Sunni leader like themselves. 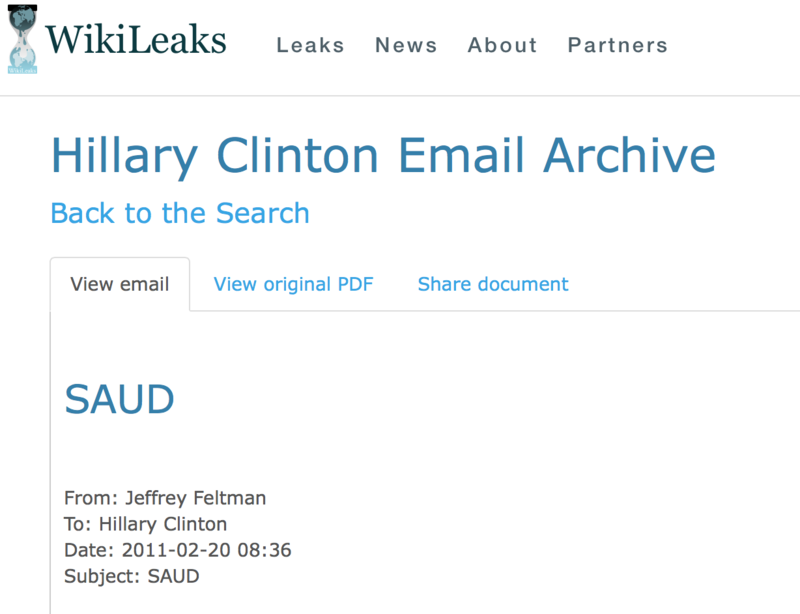 Feltman here, on 9 September 2010, was informing Hillary (and her chief counselor, Jake Sullivan), that a meeting had been set up, concerning Qatar, which is a key funder of the tens of thousands of jihadists who have since entered Syria to overthrow and replace Assad. On 3 September 2010, Hillary had sent an email to Jake Sullivan, whose subject-line was “Emir of Qatar” (Qatar’s king) and it said only “Let’s discuss when I get in.” Then, on 14 September 2010, Hillary received an email whose subject line was “SHEIKHA MOSA OF QATAR” (that’s the Emir’s wife) and it was a note from Cheri Blair (Tony Blair’s wife, a friend of both Hillary and her) saying, “She is available to see you on 24 September either morning or afternoon? Alternatively 28thor 29thSeptember Does that work for you?” The main subject of the conversation was to be the drought in the Arabic countries. That drought was especially intense in Syria. The U.S. did not respond. This appeal fell to U.S. Secretary of State Clinton to respond to, and she (and her Department) ignored it. They knew that Syria was in perhaps the most likely condition ever, to undergo massive civilian protests, even if the rest of the Arabic lands were not quite so much. What, then, was, to the Syrian government, a global appeal for help, was, to the U.S. government, an opportunity to topple and replace, with imported U.S. and Saudi and Thani backed jihadists, the existing, non-sectarian, ideologically secular, Syrian government, to replace it with jihadists who would be grateful to the Sauds and Thanis and the U.S. aristocrats, for installing them into power there. Then, the U.S. and its fundamentalist-Sunni royal allies, could fulfill on their goal, ever since 1949, to replace Syria’s secular government with a sectarian, specifically fundamentalist-Sunni, one, which would allow the U.S. and its oil companies to pipeline Saudi oil and Thani gas into the world’s largest energy-market, Europe, displacing Europe’s current biggest supplier, Russia.